Studio portrait of 19303 Gunner (later Bombardier (Bdr)) Ronald Edward Jacobson, 25th Battery, 7th Brigade Australian Field Artillery, of Balmain, NSW. A labourer prior to enlistment, he embarked from Sydney aboard HMAT Argyllshire (A8) on 11 May 1916. 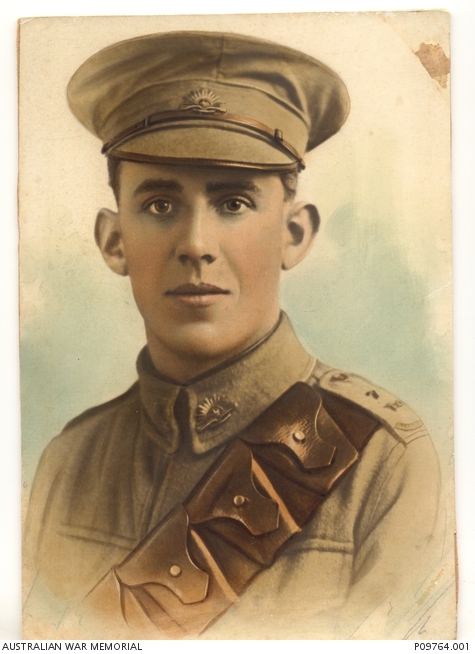 Bdr Jacobson served on the Western Front and was killed in action on 8 August 1918. He was 26 years of age.